The art world can be terrifying for young artists, especially with the rising price tags on living in New York City or Los Angeles today. Fresh out of school with a ton of ideas and debt, you might be wondering where you can move to get your career rolling without breaking the bank. Find your respite in an affordable city with a blossoming art culture so you can spend your money on making art, not living in a glorified janitor’s closet with a microwave. While living in a major city on the East Coast is always going to be expensive, Philadelphia is much cheaper than many of its neighbors and a short ride to New York City, Boston, and Washington, D.C. for openings, museums, studio visits, and collectors. Featuring the Philadelphia Museum of Art, Institute of Contemporary Art, Rodin Museum, and too many galleries and colleges to count, Philly is becoming a thriving cultural center primed for young artists. With one of the largest populations in the United States, a strong public transportation system, and cheesesteak to die for who could say no to the City of Brotherly Love? 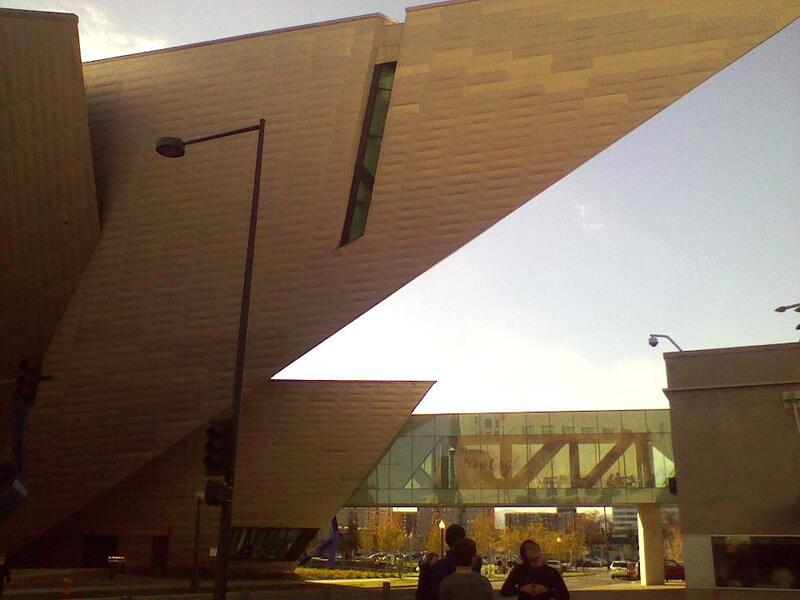 Filled with hip museums and galleries, the art scene in Denver is surging into prominence. The new Clyfford Still Museum is practically a Mecca for abstract painters. The scene is heavily involved with local artists, from exhibitions at the Museum of Contemporary Art to the way Redline is nurturing talent and granting opportunities to emerging artists. Between Untitled art programs at the Denver Art Museum, First Fridays at tons of galleries in multiple arts districts, the new Kirkland Museum, and the Biennial of the Americas, Denver is a rising star for young visual artists. With Boulder not far away, additional opportunities abound. Boasting a 7% unemployment rate and a relatively low cost of living, the state famous for skiing and legalizing weed will be a popular art scene in the near future. Critique Collective is currently working on a series of interviews with Denver artists, galleries, and curators. Interested parties should submit their work at https://critiquecollective.com/submissions/. You want to move to the beach, huh? Art Basel Miami Beach made Miami quite the destination this winter, but Miami’s consistent growth as an art scene has extended for decades. While Art Basel displayed the luxe and glamour of Miami with the rise of the Pérez Art Museum Miami, growing art districts are the real future of this city. The Wynwood Arts District is full to the brim with galleries, studios, installations, and culture while North Miami includes the MOCA NoMI. Indeed, Miami is sprouting residencies for visual artists at Cannonball, Fountainhead, LegalArt, and Inkhub. While you might not run into Kim Kardashian at Art Basel everyday, you will find yourself immersed in a rising art community in Miami. Historically a hidden art jewel in the Southwest, Santa Fe is famous for Georgia O’Keeffe, Western Art, and green chile. With many Americans crossing over from the Northeast to the Southwest, Santa Fe is a growing force to be reckoned with in the art world. With multiple museums (including the Georgia O’Keeffe Museum) and a massive influx of tourists who come for the culture and weather, Santa Fe is a nice place to find collectors despite its small city demeanor. Santa Fe artists can access Albuquerque, Dallas, Denver, and Phoenix in a few hours. Come for the art scene and stay for the sun and Mexican food. While you might freeze your nostrils closed, living in the twin cities is a viable option for artists seeking to escape the hustle and bustle of many major art centers. Offering the Walker Art Center, Minneapolis Institute of Arts, Minneapolis Sculpture Garden, and a multitude of colleges, Minneapolis isn’t a bad place for young creatives to settle down. The Northeast Minneapolis Arts District includes over a dozen galleries, as well as studios, shops, theatre, and music. With a history as a cultural center, Minneapolis is an attractive location for emerging artists who are looking to break into a small yet respectable art scene. DO YOU ENJOY THIS CONTENT? PLEASE “LIKE” CRITIQUE COLLECTIVE ON FACEBOOK. Having lived in Minneapolis-St. Paul for a handful of years, I can say that my neighborhoods and working communities had sincere respect for and interest in emerging artists. The literary culture in the Twin Cities is well established and vibrant, too, so there’s some nice mutual support between arts scenes. Thank you for this. Too many of the major “art” cities have become so gentrified… I also heard a lot about Detroit these days – what do you think? As much as I adore Paris and the French lifestyle, as a Colorado girl, I have to agree that Denver really is an up-and-coming city for artists, plus you can’t beat the weather…or the Broncos. great post! one more great place for writers in Mpls. is the Loft Literary center. I was fortunate to be able to attend the Minnesota Poetry festival events there years back. fun! We have the same thing happening in Canada. Toronto is one of the best places to sell your work but the living costs are far too high. Everyone is moving down the road to Hamilton, Ontario. Something similar to what happen between New York City and brooklyn. Jorge Demirjian es un pintor Argentino-Armenio. Tio mio,da clases en La Universidad. Exiliado en tiempos de la dictadura . En San Telmo barrio pintoresco donde se ve una fuerte movida cultural, tiene su taller,un lugar para tener en cuenta. Fantastic rundown of up and coming cities, the analysis is really spot-on. We moved to Miami from London 5 years ago, and it’s wild seeing all our favorite galleries making obligatory trips to Miami every year. We love both cities in completely different ways, as London is a city of thousands of years of layered history and culture, and Miami didn’t really become habitable until the advent of the air conditioner. So for Miami to transform itself into an international art destination in under a decade is pretty impressive. Loving the blog! Sending good vibes and sunshine from Miami.